Thinsulate insulated Rosebud Rhapsody Kup Kap on cereal to hold in heat after adding hot water. 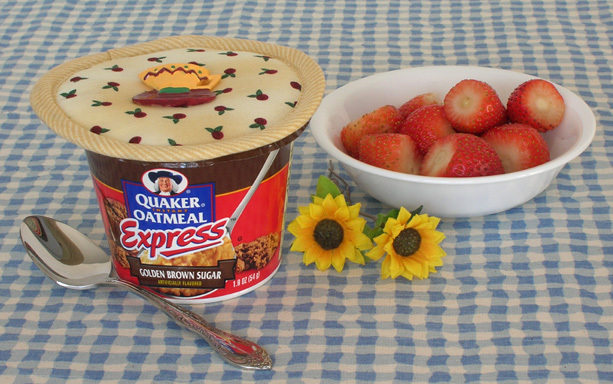 When you can’t eat your oatmeal at home, take along one of three flavors of Quaker Oatmeal Express. To prepare, take off the foil lid, add water, and put a Kup Kap on top to hold in the heat while it steeps.